The ATA Shuttle Bus provides service for attendees of the 65th Annual Autumn Leaf Festival™, sponsored by the U.S. Army, during the Kronospan U.S.A. “Farmers & Crafters Day” on Friday, October 5, 2018, and the Clarion Hospital “Tournament of Leaves Parade” on Saturday, October 6, 2018. Friday, October 5: 8:00 a.m. – 6:00 p.m.
Saturday, October 6: 9:00 a.m. – 4:00 p.m. The shuttle buses will pick up riders first at the Clarion Mall and then proceed to Wal-Mart. The buses will then travel up 5th Avenue, making a left turn onto South Street, followed by a right turn onto 2nd Avenue, and then a right turn onto Wood Street. Pick-ups will be at the intersections of Wood Street and 2nd, 3rd, 4th, and 5th Avenues. The buses will make a right turn onto 5th Avenue and go back to the Clarion Mall to begin the loop again. Shuttles will run every 15 minutes, depending on capacity. The cost to ride is $1.25 per trip, using EXACT CHANGE ONLY. 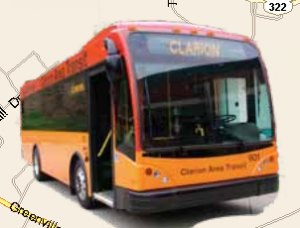 Children under the age of 6, adults ages 65 and older, and Clarion University students ride FREE. 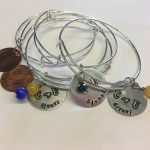 For more information click on the link above or call 814-226-9161.